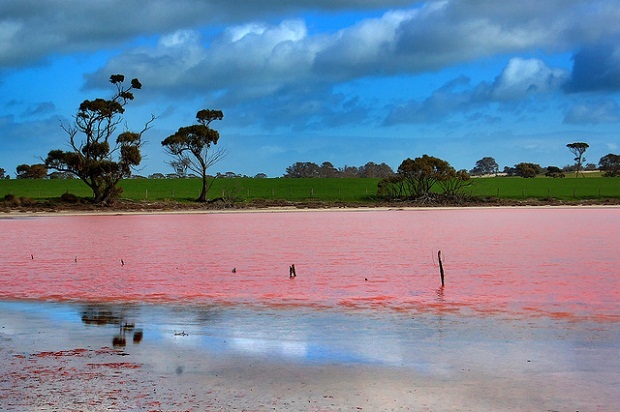 Hillier Lake is a lake in Western Australia immediately recognizable by its unusual pink color. 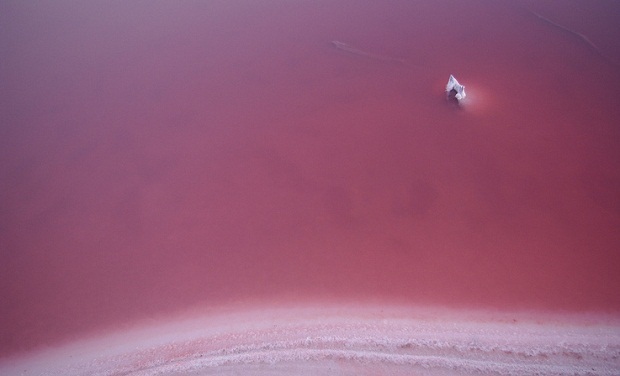 But why does the lake have this unusual color you will be asked. 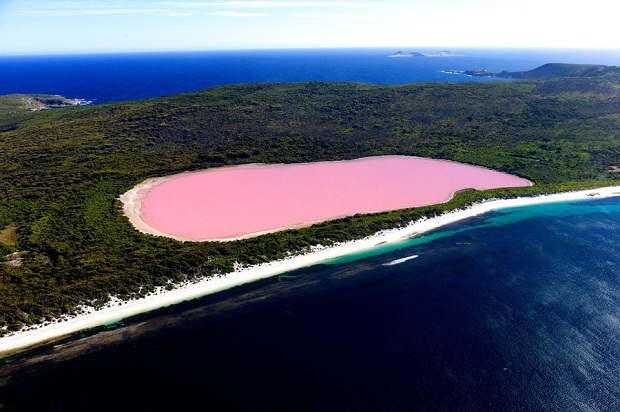 The Lake Hillier is situated on Middle Island, the largest in the Australian archipelago called Recherche and consists of at least 100 islands near Cape Arid even though the reason for the color pink seems currently still totally unknown. 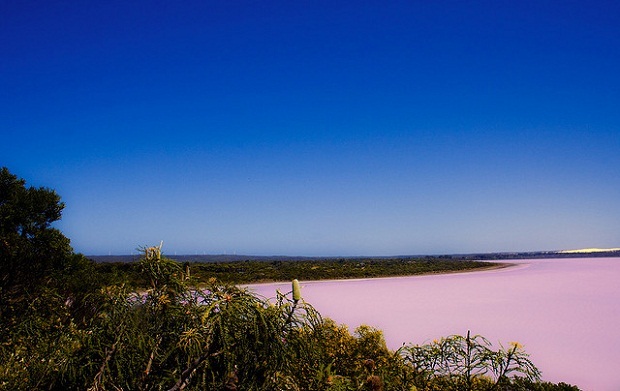 The charming lake never fails to enchant curious tourists and travelers who just journey to attend these places or simply to see the “pink” photos. 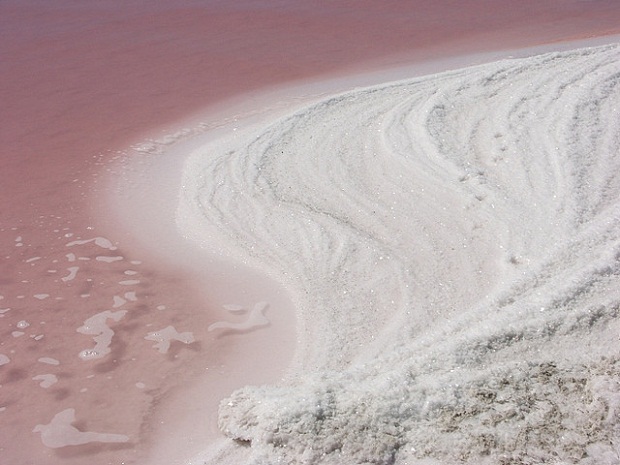 It is a salt lake without tributaries located 600 meters from the ocean. Its vegetation is composed mainly of eucalyptus trees. The first information about this lake dates back to 1802. 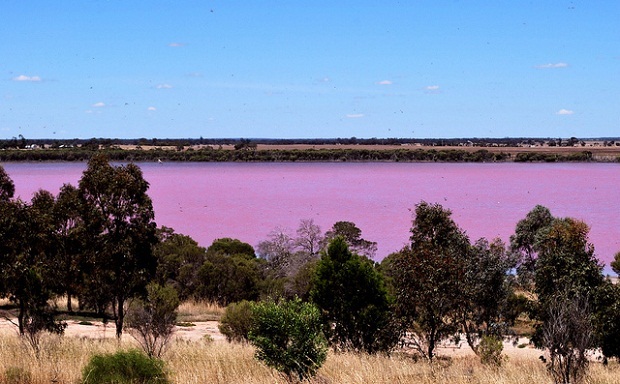 The pink color of the lake water is permanent and it is expected to remain even when the water is poured into a container. The reason for the presence of a similar staining has currently not yet been clarified by the science. The only assumption made over the years is that the coloration is due to the presence of algae belonging to the species Dunaliella salina. These algae have a bright red color and are rich in carotenoids. 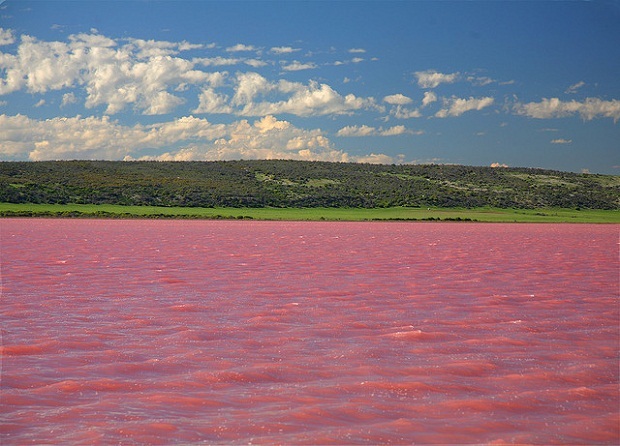 The coloration of the lake could be therefore attributed to their presence but it comes at the time of a correlation which has not yet been confirmed. Whatever the reason that colors the lake rose, we thank it, because we get to see a lake that fills the day with happiness. Lake Hillier photos: TheHeatherShow, mm_leones, Eadey, phunnyfotos, AdamsWife, radu.bargaoan, Ockert Le Roux.